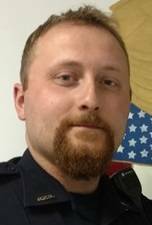 GALION — The Galion Police Department is back to full staff … plus one. 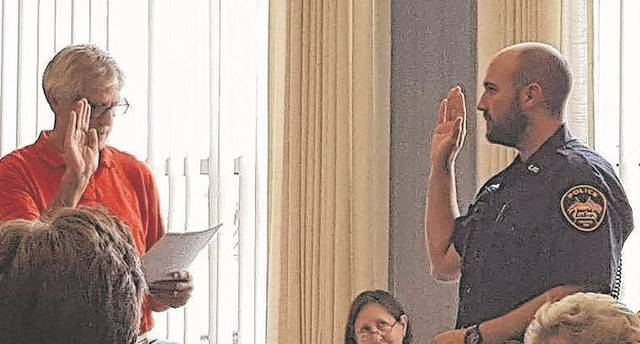 At Tuesday’s Galion City Council meeting, three new officers were sworn in, and a fourth was promoted to lieutenant. Also, the police department added a chaplain to its lineup. 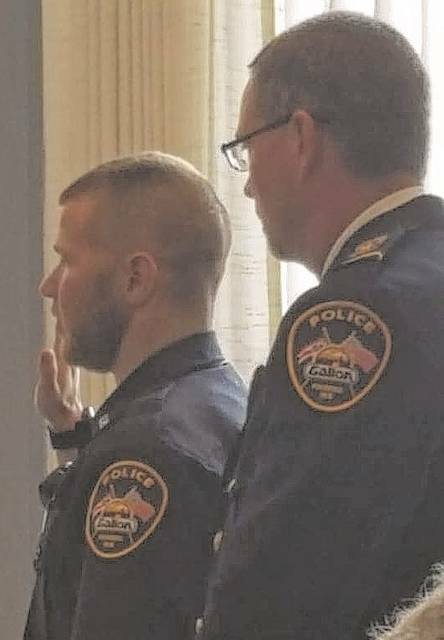 Patrol officer Ryan Strange was sworn in as the newest lieutenant within the police department. Strange has been an officer since being sworn in in 2009. He is the fourth lieutenant on the staff. The others are Marc Rodriguez, Joseph Cinadr and John Bourne. Austin Chaplin, a 2013 Galion High School graduate; Brandon Grant, a 2007 Shelby High School graduate; and Jonathan Patton, a 2008 graduate of Mount Gilead High School were sworn in O’Leary in front of dozens of family, friends ans supporters. A family member pinned on their first badges. “This gets our level of staffing back to 18, which is what we’ve been working toward,” said Chief Brian Satterfield. 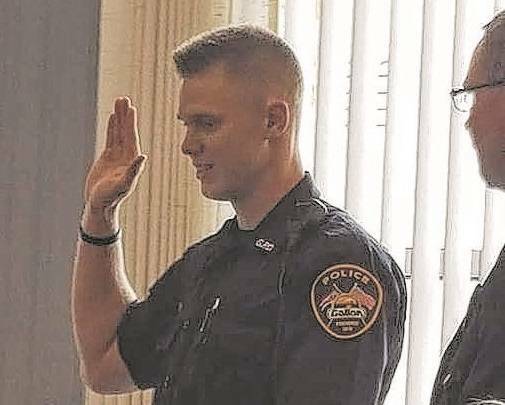 He mentioned two of Galion’s newest officers — Chaplin and Grant — are recent graduates of the Police Academy at North Central State College. Patton is a graduate of the program at Marion Technical College. 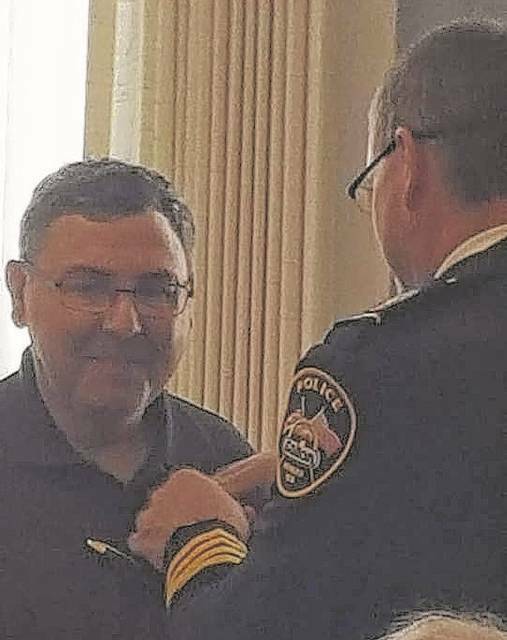 Ash Welch, pastor of St. Paul United Methodist Church in Galion, was also sworn in by O’Leary, as the police department chaplain. Ash was previously a police chaplain in Boardman Ohio. “I am looking forward to a great relationship with Ash,” Satterfield said.